Due to its prominent functions and reasonable prices, more and more people are attracted by Android phone and it is not strange to see a person who is using two Android phones for business or replacement. And once you have two mobile phones, it is inevitable that you need to transfer some files between two devices, especially the contacts information. Then you may wonder- how to transfer contacts from Android to Android? Just see here! In this article, we'll show you several different ways to achieve the goal. Under this method, you need a third party tool as your assistant - MobiKin Transfer for Mobile. 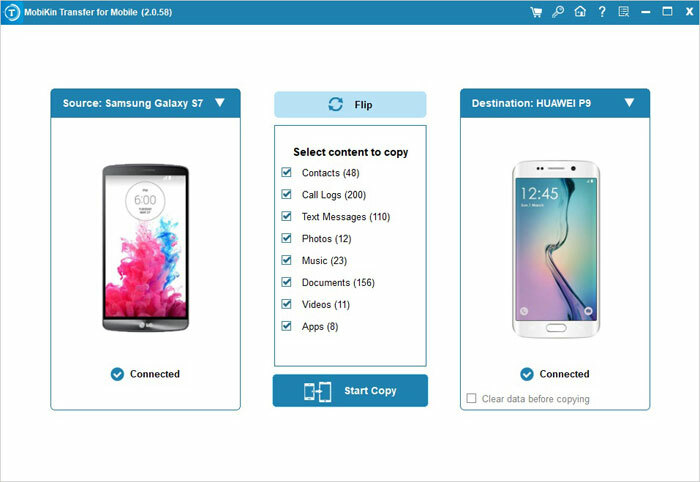 With it, you can simply connect two phones to the computer, and transfer contacts between the connected devices with one click. What's more, this Android Contacts Transfer also can help users to transfer data like apps, photos, videos, music, etc. between Android devices without restrictions. Now, just click the below icon to have a free trial on this powerful program by yourself! After installing and launching the transfer program on your personal computer, you'll see an interface like below. There are several options for your reference. You can select the mode according to your own needs, and here you're strongly recommended to choose the mode of "Phone to Phone Transfer". 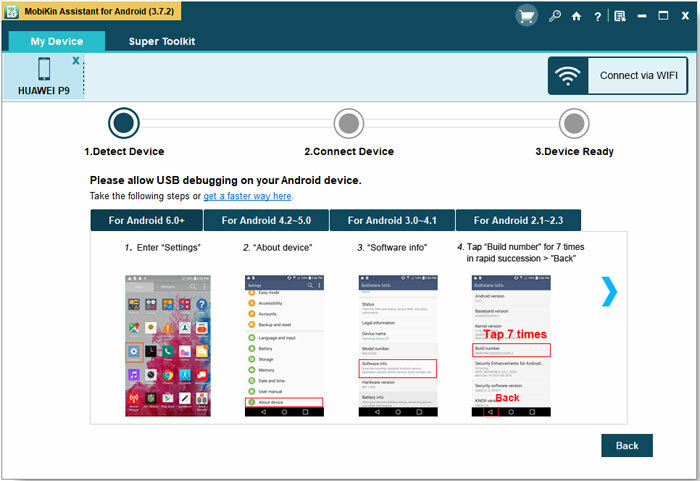 Now, you can connect both two Android phones to computer via its own USB cable at the same time, then the program will detect the devices automatically. Generally speaking, the two Android phones will be in two areas. Mark the "Contacts" option in the middle of the panel, and then click the transferring icons with a arrow in the middle panel to begin the process. Here, you're allowed to check the detailed process in the program and you can end the transferring anytime you like. 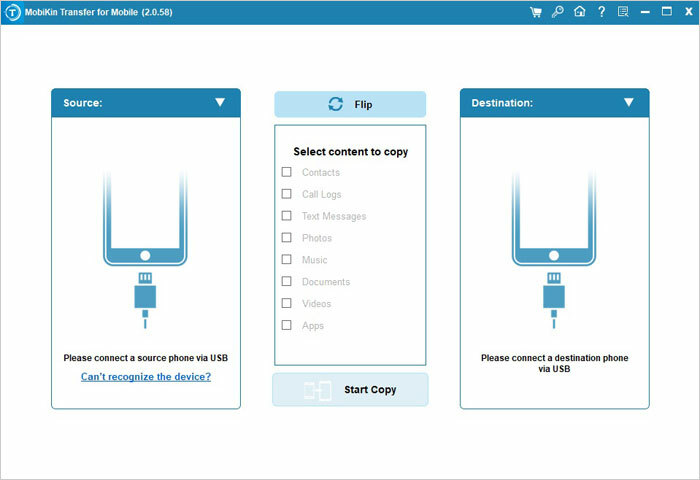 If you have ever used an assistant program like MobiKin Assistant for Android to manage your Android data on desktop computer, then you must have noticed that this kind of program allows users to backup contacts from Android device to computer and restore these backup files to Android phone again, right? So, why don't you transfer contacts between two Android phones with this program? Sounds great, right? Now, you can try this program by yourself, but if your file manager tool have no function of restoring, you can take the recommended MobiKin program as your assistant and follow the below steps to reach your goal. 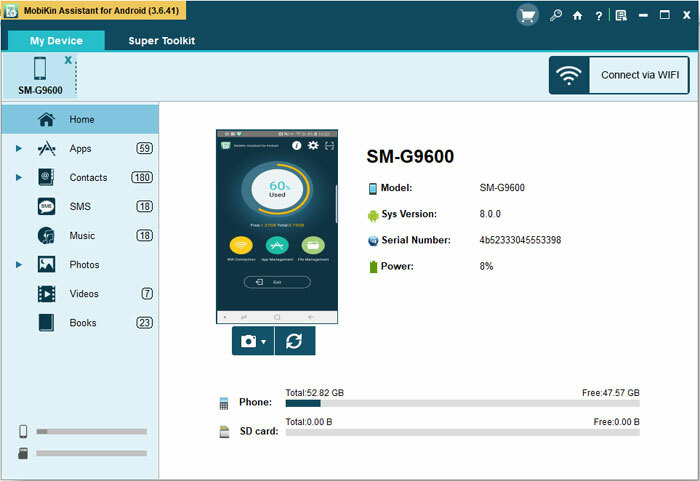 When the device is recognized, you'll get an interface like below. All data on the Android phone have been displayed in categories. Here, you can click "Contacts" option and tick the contacts you wish to transfer, then hit "Export" button to save them on your computer. Pull out the connected Android phone and link another phone to the computer with USB cable. Here, you need to repeat the step 1 to make your phone be recognized by the program. After that, just enter the "Contacts" category and hit "Import" button to import the exported backup file to the Android phone directly. First of all, you need to add the Google account to your old phone:	navigate to "Settings"> "Accounts and Sync"> "Add Account" and then select "Google" from the listed email boxes. After that, you can sign in your Gmail account with password. Supposed that you don't have an account yet, you need to "Create a New Account" first. If you have not saved the contacts to your SIM card beforehand, you need to export them to the card first. To complete that, you can click "Contacts"> "More"> "Manage Contacts"> "Import/Export" to move your contacts to SIM card. The next step is to pluck out your SIM card from the old phone and then insert it into the new phone. Then you need to go to "Contacts"> "More"> "Manage Contacts"> "Import/Export" again and choose the option "Import from SIM Card" in the window to move the contacts to the new device. When you import or export contacts to SIM card, have you noticed that there is an option "Share namecard via" in the Import/Export contacts window? This is an available way to sync the contacts actually. 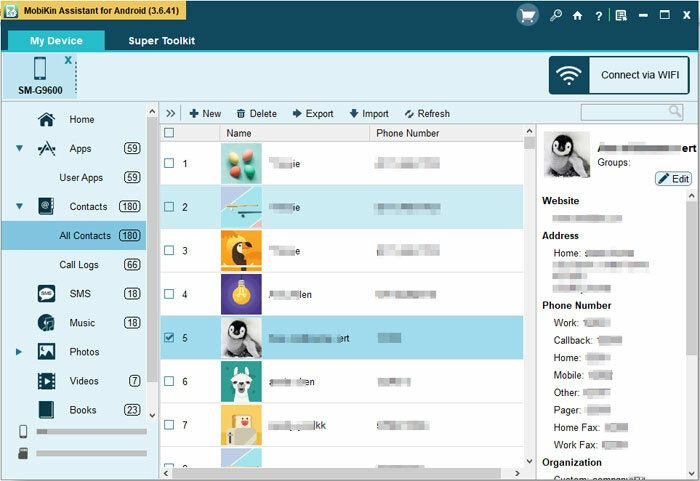 This inbuilt feature allows you to migrate the contacts via Bluetooth, email, Gmail, messaging and Wi-fi direct. You can choose one of them to share your contacts freely. But here we would recommend you to perform the transferring process via Bluetooth. The first thing you need to do is to enable Bluetooth on both your Android devices. After that, you ought to enter the "Contacts" application and then open the menu and choose the option "Import/Export". After that, a window will pop up on the screen. In this window, you can tap on "Share namecard via". Now you can click the "Select all" option and tap on "Bluetooth" to select the device to which you want to send the contacts. Next, you should accept the Bluetooth authorization request on the receiving device. This will start the transferring process. For the people who want to know how to transfer contacts from Android to iPhone, iPhone to iPhone or iPhone to Android, you can click the link to get the detailed steps. These are the common ways to transfer contacts from Android to Android. You can select one of them to easily migrate your contacts. If you have any problem about the tutorial above or have any better method to perform the transmission, please leave a comment below to let us know.